"The Sims" content will transform the Alice software from a rudimentary, 3-D programming tool into a compelling and user-friendly programming environment. Carnegie Mellon University has entered into a groundbreaking collaboration with Electronic Arts Inc. (EA) that has the potential to revolutionize and reinvigorate computer science education in the U.S., from middle school through senior high and beyond. EA has agreed to help underwrite the development of Alice 3.0—a popular object-oriented, Java-based computer-programming environment created by Carnegie Mellon researchers—and provide essential art assets from "The Sims," the best selling PC videogame of all time. "The Sims" content will transform the Alice software from a rudimentary, 3-D programming tool into a compelling and user-friendly programming environment. Development for Alice 3.0 will begin immediately and will span the next 18 to 24 months. Experts say that when the transformation is complete, the new programming environment will be in position to become the national standard for teaching software programming. "Getting the chance to use the characters and animations from 'The Sims' is like teaching at an art school and having Disney give you Mickey Mouse," said Computer Science Professor Randy Pausch, director of the Alice Project at Carnegie Mellon. "'The Sims' is EA's crown jewel, and the fact that they are willing to use it for education shows a kind of long-term vision one rarely sees from large corporations." "EA comes to this with the goal of doing well by doing good. Inspiring next-generation game-makers is a primary objective," said Bing Gordon, chief creative officer at EA. "Alice has already proven to be a powerful tool to engage all kids—most particularly girls. Our hope is to contribute in a way that further accelerates its success. There is no better partner than Dr. [Randy] Pausch and Carnegie Mellon." "We are thrilled to have been chosen by Carnegie Mellon and we are honored to provide the school with the art and engineering assets that will help transform Alice into an entertaining and enjoyable programming tool," said Steve Seabolt, vice president of university and marketing education at EA. "By marrying the characters, animations and playful style of 'The Sims' to Alice, we are helping make computer science fun for a new generation of creative leaders." "This unique alliance between academia and industry is further evidence that sharing technology is an essential step toward arming students with the tools needed to excel in computer science education and interactive entertainment," added Carnegie Mellon President Jared L. Cohon. Alice is an open-source system developed during the last 10 years and provided as a free public service by Carnegie Mellon. In combination with novel educational materials developed by computer science professors Wanda Dann of Ithaca College and Stephen Cooper of St. Joseph's University, Alice is already used at more than 60 colleges and universities to teach various introductory computer science/computer programming courses. Individual hobbyists and enterprising game programmers may also download the software free of charge at www.alice.org, and the teaching materials free of charge at www.aliceprogramming.net. Introductory computer programming has historically been frustrating for many students. Recent attempts to include object-oriented programming in first-semester university curricula have only compounded the problem. There has also been a 50 percent drop in the number of computer science majors in the last five years*. The Alice programming language represents a breakthrough in object-oriented computer programming. One of its greatest strengths is making abstract concepts concrete in the eyes of first-time programmers. In Alice, objects appear as 3-D characters—people, animals, furniture, etc. They're controlled through a drag-and-drop editor that prevents syntax errors and allows students to write code like "move forward one meter" or "rotate left one-quarter turn." These commands are easily understood by students and the computations are displayed on screen in real-time animations. While Alice has proven to be a revolutionary programming environment, the characters and animations within the program have been quite rudimentary, Pausch said. The spectacular art assets and animations from "The Sims" will change all that, and Alice will be transformed. Students using Alice 3.0 will essentially be working in an environment that looks and feels like "The Sims." Characters will look and move like Sims characters and the library of "The Sims'" emotional reaction animations will be integrated into the program. Now featuring literally thousands of animations, students will be able to visually realize their designs. With "The Sims," programming with Alice will be propelled to a new level of effectiveness, and may even be considered fun! *According to a UCLA study: www.cra.org/CRN/articles/may05/vegso. About Alice: The Alice Project has been supported in the past by the National Science Foundation, DARPA, Intel, Microsoft and SAIC. 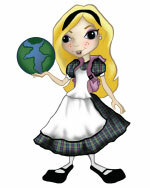 For more information about the Alice Project, please visit www.alice.org. About Electronic Arts: Electronic Arts Inc. (EA), headquartered in Redwood City, Calif., is the world's leading interactive entertainment software company. Founded in 1982, the company develops, publishes and distributes interactive software worldwide for videogame systems, personal computers and the Internet. Electronic Arts markets its products under four brand names: EA SPORTS, EA, EA SPORTS BIG and POGO. In fiscal year 2005, EA posted revenues of $3.1 billion and had 31 titles that sold more than one million copies. EA's homepage and online game site is www.ea.com. More information about can be found at info.ea.com.